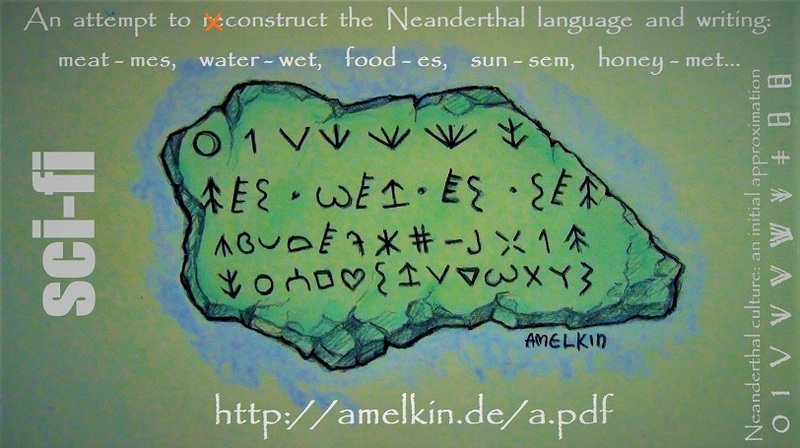 I have used the symbols from Neanderthal petroglyphs (referring to Genevieve von Petzinger) and etymology of very old words. Above — the Neanderthal numbers, lower — the words and below — the alphabet. It's just my imagination and fantasy.